New Nissan Murano SUV models are available for sale in Middletown as part of the extensive inventory of new Nissan cars and SUVs at Middletown Nissan. When shopping for a new car, few SUV options are better than the Nissan Murano. The latest Nissan Murano offers state-of-the-art Nissan technology features like Nissan Intelligent Mobility and reaches an average mpg of up to 28 mpg highway. Our Nissan dealership in Middletown offers a rotating set of new vehicle specials and SUV lease offers for you to find the new Nissan SUV that matches your budget and driving needs. To calculate your estimated monthly payments on a new Nissan Murano, use our lease payment calculator. Contact our Middletown dealership team to schedule a test drive today. HARTFORD'S FASTEST GROWING NISSAN STORE. Nissan Murano Deep Blue Pearl AWD 20/28 City/Highway MPG LARGEST NEW AND USED INVENTORY IN CONNECTICUT! 2019 Nissan Murano S 3.5L 6-Cylinder CVT with Xtronic AWD Magnetic Black Pearl 4D Sport Utility 2019 is here!! All remaining 2018's will be priced at close out pricing! Even some 2018's With great options like CVT with Xtronic, AWD, 4.667 Axle Ratio, 4-Wheel Disc Brakes, 6 Speakers, ABS brakes, Air Conditioning, AM/FM radio: SiriusXM, AM/FM/CD/MP3/WMA Audio System, Anti-whiplash front head restraints, Automatic temperature control, Brake assist, Bumpers: body-color, Carpeted Floor Mats & Carpeted Cargo Mat, CD player, Cloth Seat Trim, Delay-off headlights, Driver door bin, Driver vanity mirror, Dual front impact airbags, Dual front side impact airbags, Electronic Stability Control, Four wheel independent suspension, Front anti-roll bar, Front Bucket Seats, Front Center Armrest w/Storage, Front dual zone A/C, Front reading lights, Fully automatic headlights, Illuminated entry, Knee airbag, Low tire pressure warning, Navigation System, Occupant sensing airbag, Outside temperature display, Overhead airbag, Overhead console, Panic alarm, Passenger door bin, Passenger vanity mirror, Power door mirrors, Power steering, Power windows, Radio data system, Rear anti-roll bar, Rear Bumper Protector, Rear reading lights, Rear seat center armrest, Rear side impact airbag, Rear window defroster, Rear window wiper, Remote keyless entry, Security system, Speed control, Speed-sensing steering, Splash Guards, Split folding rear seat, Spoiler, Steering wheel mounted audio controls, Tachometer, Telescoping steering wheel, Tilt steering wheel, Traction control, Trip computer, Turn signal indicator mirrors, Variably intermittent wipers, and Wheels: 18" Machined Aluminum-Alloy. CVT with Xtronic, AWD. Our Sales, Service and Parts Departments work closely together to provide you with the most enjoyable, least stressful car-buying experience possible. The average tenure for our sales people, managers, technicians and all other employees is over 20 years. Most of them have been career employees of Middletown Nissan - and with that much experience, you can be sure they'll provide you with the highest quality care for you and your vehicle. We are also proud to be a Better Business Bureau Accredited Business with an A+ rating. Recent Arrival! 2019 Nissan Murano S 3.5L 6-Cylinder CVT with Xtronic AWD Pearl White 4D Sport Utility 2019 is here!! All remaining 2018's will be priced at close out pricing! Even some 2018's With great options like CVT with Xtronic, AWD, 4.667 Axle Ratio, 4-Wheel Disc Brakes, 6 Speakers, ABS brakes, Air Conditioning, AM/FM radio: SiriusXM, AM/FM/CD/MP3/WMA Audio System, Anti-whiplash front head restraints, Automatic temperature control, Brake assist, Bumpers: body-color, Carpeted Floor Mats & Carpeted Cargo Mat, CD player, Cloth Seat Trim, Delay-off headlights, Driver door bin, Driver vanity mirror, Dual front impact airbags, Dual front side impact airbags, Electronic Stability Control, Four wheel independent suspension, Front anti-roll bar, Front Bucket Seats, Front Center Armrest w/Storage, Front dual zone A/C, Front reading lights, Fully automatic headlights, Illuminated entry, Knee airbag, Low tire pressure warning, Navigation System, Occupant sensing airbag, Outside temperature display, Overhead airbag, Overhead console, Panic alarm, Passenger door bin, Passenger vanity mirror, Power door mirrors, Power steering, Power windows, Radio data system, Rear anti-roll bar, Rear Bumper Protector, Rear reading lights, Rear seat center armrest, Rear side impact airbag, Rear window defroster, Rear window wiper, Remote keyless entry, Security system, Special Paint - Pearl White, Speed control, Speed-sensing steering, Splash Guards, Split folding rear seat, Spoiler, Steering wheel mounted audio controls, Tachometer, Telescoping steering wheel, Tilt steering wheel, Traction control, Trip computer, Turn signal indicator mirrors, Variably intermittent wipers, and Wheels: 18" Machined Aluminum-Alloy. CVT with Xtronic, AWD. Our Sales, Service and Parts Departments work closely together to provide you with the most enjoyable, least stressful car-buying experience possible. The average tenure for our sales people, managers, technicians and all other employees is over 20 years. Most of them have been career employees of Middletown Nissan - and with that much experience, you can be sure they'll provide you with the highest quality care for you and your vehicle. We are also proud to be a Better Business Bureau Accredited Business with an A+ rating. HARTFORD'S FASTEST GROWING NISSAN STORE. Nissan Murano Gun Metallic AWD 20/28 City/Highway MPG LARGEST NEW AND USED INVENTORY IN CONNECTICUT! HARTFORD'S FASTEST GROWING NISSAN STORE. Nissan Murano Brilliant Silver Metallic AWD 21/28 City/Highway MPG LARGEST NEW AND USED INVENTORY IN CONNECTICUT! HARTFORD'S FASTEST GROWING NISSAN STORE. Nissan Murano Gun Metallic AWD 21/28 City/Highway MPG LARGEST NEW AND USED INVENTORY IN CONNECTICUT! 2018 Nissan Murano SL 3.5L 6-Cylinder CVT with Xtronic AWD Brilliant Silver Metallic 4D Sport Utility 2019 is here!! All remaining 2018's will be priced at close out pricing! Even some 2018's With great options like Moonroof Package (Power Panoramic Moonroof), CVT with Xtronic, AWD, 11 Speakers, 4.667 Axle Ratio, 4-Wheel Disc Brakes, ABS brakes, Activation Disclaimer, Air Conditioning, AM/FM radio: SiriusXM, AM/FM/CD/MP3/WMA Audio System, Anti-whiplash front head restraints, Auto-dimming Rear-View mirror, Automatic temperature control, Blind spot sensor: Blind Spot Warning (BSW) warning, Brake assist, Bumpers: body-color, Carpeted Floor Mats & Carpeted Cargo Mat, CD player, Compass, Delay-off headlights, Distance pacing cruise control: Intelligent Cruise Control (ICC), Driver door bin, Driver vanity mirror, Dual front impact airbags, Dual front side impact airbags, Electronic Stability Control, Four wheel independent suspension, Front anti-roll bar, Front Bucket Seats, Front Center Armrest w/Storage, Front dual zone A/C, Front fog lights, Front reading lights, Fully automatic headlights, Garage door transmitter: HomeLink, Heated door mirrors, Heated Front Bucket Seats, Heated front seats, Heated rear seats, Heated steering wheel, Illuminated entry, Knee airbag, Leather Appointed Seat Trim, Leather Shift Knob, Low tire pressure warning, Memory seat, Navigation System, Occupant sensing airbag, Outside temperature display, Overhead airbag, Overhead console, Panic alarm, Passenger door bin, Passenger vanity mirror, Power door mirrors, Power driver seat, Power Liftgate, Power passenger seat, Power steering, Power windows, Radio data system, Rear anti-roll bar, Rear Bumper Protector, Rear reading lights, Rear seat center armrest, Rear window defroster, Rear window wiper, Remote keyless entry, Roof rack: rails only, Security system, Speed control, Speed-sensing steering, Speed-Sensitive Wipers, Splash Guards, Split folding rear seat, Spoiler, Steering wheel mounted audio controls, Tachometer, Telescoping steering wheel, Tilt steering wheel, Traction control, Trip computer, Turn signal indicator mirrors, Variably intermittent wipers, and Wheels: 18" Machined Aluminum-Alloy. CVT with Xtronic, AWD. Our Sales, Service and Parts Departments work closely together to provide you with the most enjoyable, least stressful car-buying experience possible. The average tenure for our sales people, managers, technicians and all other employees is over 20 years. Most of them have been career employees of Middletown Nissan - and with that much experience, you can be sure they'll provide you with the highest quality care for you and your vehicle. We are also proud to be a Better Business Bureau Accredited Business with an A+ rating. HARTFORD'S FASTEST GROWING NISSAN STORE. Nissan Murano Magnetic Black AWD 21/28 City/Highway MPG LARGEST NEW AND USED INVENTORY IN CONNECTICUT! 2018 Nissan Murano SL 3.5L 6-Cylinder CVT with Xtronic AWD Magnetic Black 4D Sport Utility 2019 is here!! All remaining 2018's will be priced at close out pricing! Even some 2018's With great options like Moonroof Package (Power Panoramic Moonroof), CVT with Xtronic, AWD, 11 Speakers, 4.667 Axle Ratio, 4-Wheel Disc Brakes, ABS brakes, Activation Disclaimer, Air Conditioning, AM/FM radio: SiriusXM, AM/FM/CD/MP3/WMA Audio System, Anti-whiplash front head restraints, Auto-dimming Rear-View mirror, Automatic temperature control, Blind spot sensor: Blind Spot Warning (BSW) warning, Brake assist, Bumpers: body-color, Carpeted Floor Mats & Carpeted Cargo Mat, CD player, Compass, Delay-off headlights, Distance pacing cruise control: Intelligent Cruise Control (ICC), Driver door bin, Driver vanity mirror, Dual front impact airbags, Dual front side impact airbags, Electronic Stability Control, Four wheel independent suspension, Front anti-roll bar, Front Bucket Seats, Front Center Armrest w/Storage, Front dual zone A/C, Front fog lights, Front reading lights, Fully automatic headlights, Garage door transmitter: HomeLink, Heated door mirrors, Heated Front Bucket Seats, Heated front seats, Heated rear seats, Heated steering wheel, Illuminated entry, Knee airbag, Leather Appointed Seat Trim, Leather Shift Knob, Low tire pressure warning, Memory seat, Navigation System, Occupant sensing airbag, Outside temperature display, Overhead airbag, Overhead console, Panic alarm, Passenger door bin, Passenger vanity mirror, Power door mirrors, Power driver seat, Power Liftgate, Power passenger seat, Power steering, Power windows, Radio data system, Rear anti-roll bar, Rear Bumper Protector, Rear reading lights, Rear seat center armrest, Rear window defroster, Rear window wiper, Remote keyless entry, Roof rack: rails only, Security system, Speed control, Speed-sensing steering, Speed-Sensitive Wipers, Splash Guards, Split folding rear seat, Spoiler, Steering wheel mounted audio controls, Tachometer, Telescoping steering wheel, Tilt steering wheel, Traction control, Trip computer, Turn signal indicator mirrors, Variably intermittent wipers, and Wheels: 18" Machined Aluminum-Alloy. CVT with Xtronic, AWD. Our Sales, Service and Parts Departments work closely together to provide you with the most enjoyable, least stressful car-buying experience possible. The average tenure for our sales people, managers, technicians and all other employees is over 20 years. Most of them have been career employees of Middletown Nissan - and with that much experience, you can be sure they'll provide you with the highest quality care for you and your vehicle. We are also proud to be a Better Business Bureau Accredited Business with an A+ rating. 2019 Nissan Murano SL 3.5L 6-Cylinder CVT with Xtronic AWD Brilliant Silver Metallic 4D Sport Utility 2019 is here!! All remaining 2018's will be priced at close out pricing! Even some 2018's With great options like SL Technology Package (High Beam Assist (HBA), Intelligent Lane Intervention (I-LI), Pedestrian Automatic Emergency Braking (PAEB), Power Panoramic Moonroof, Rear Automatic Braking (RAB), and Traffic Sign Recognition (TSR)), CVT with Xtronic, AWD, 11 Speakers, 4.667 Axle Ratio, 4-Wheel Disc Brakes, ABS brakes, Air Conditioning, AM/FM radio: SiriusXM, AM/FM/CD/MP3/WMA Audio System, Anti-whiplash front head restraints, Auto-dimming Rear-View mirror, Automatic temperature control, Blind spot sensor: Blind Spot Warning (BSW) warning, Brake assist, Bumpers: body-color, Carpeted Floor Mats & Carpeted Cargo Mat, CD player, Compass, Delay-off headlights, Distance-Pacing Cruise Control, Driver door bin, Driver vanity mirror, Dual front impact airbags, Dual front side impact airbags, Electronic Stability Control, Four wheel independent suspension, Front anti-roll bar, Front Bucket Seats, Front Center Armrest w/Storage, Front dual zone A/C, Front fog lights, Front reading lights, Fully automatic headlights, Garage door transmitter: HomeLink, Heated door mirrors, Heated Front Bucket Seats, Heated front seats, Heated rear seats, Heated steering wheel, Illuminated entry, Knee airbag, Leather Shift Knob, Leather-Appointed Seat Trim, Low tire pressure warning, Memory seat, Navigation System, Occupant sensing airbag, Outside temperature display, Overhead airbag, Overhead console, Panic alarm, Passenger door bin, Passenger vanity mirror, Power door mirrors, Power driver seat, Power Liftgate, Power passenger seat, Power steering, Power windows, Radio data system, Rear anti-roll bar, Rear Bumper Protector, Rear reading lights, Rear seat center armrest, Rear side impact airbag, Rear window defroster, Rear window wiper, Remote keyless entry, Roof rack: rails only, Security system, Speed control, Speed-sensing steering, Speed-Sensitive Wipers, Splash Guards, Split folding rear seat, Spoiler, Steering wheel mounted audio controls, Tachometer, Telescoping steering wheel, Tilt steering wheel, Traction control, Trip computer, Turn signal indicator mirrors, Variably intermittent wipers, and Wheels: 20" Machined Aluminum-Alloy. CVT with Xtronic, AWD. Our Sales, Service and Parts Departments work closely together to provide you with the most enjoyable, least stressful car-buying experience possible. The average tenure for our sales people, managers, technicians and all other employees is over 20 years. Most of them have been career employees of Middletown Nissan - and with that much experience, you can be sure they'll provide you with the highest quality care for you and your vehicle. We are also proud to be a Better Business Bureau Accredited Business with an A+ rating. Recent Arrival! 2019 Nissan Murano SL 3.5L 6-Cylinder CVT with Xtronic AWD Magnetic Black Pearl 4D Sport Utility 2019 is here!! All remaining 2018's will be priced at close out pricing! Even some 2018's With great options like SL Technology Package (High Beam Assist (HBA), Intelligent Lane Intervention (I-LI), Pedestrian Automatic Emergency Braking (PAEB), Power Panoramic Moonroof, Rear Automatic Braking (RAB), and Traffic Sign Recognition (TSR)), CVT with Xtronic, AWD, 11 Speakers, 4.667 Axle Ratio, 4-Wheel Disc Brakes, ABS brakes, Air Conditioning, AM/FM radio: SiriusXM, AM/FM/CD/MP3/WMA Audio System, Anti-whiplash front head restraints, Auto-dimming Rear-View mirror, Automatic temperature control, Blind spot sensor: Blind Spot Warning (BSW) warning, Brake assist, Bumpers: body-color, Carpeted Floor Mats & Carpeted Cargo Mat, CD player, Compass, Delay-off headlights, Distance-Pacing Cruise Control, Driver door bin, Driver vanity mirror, Dual front impact airbags, Dual front side impact airbags, Electronic Stability Control, Four wheel independent suspension, Front anti-roll bar, Front Bucket Seats, Front Center Armrest w/Storage, Front dual zone A/C, Front fog lights, Front reading lights, Fully automatic headlights, Garage door transmitter: HomeLink, Heated door mirrors, Heated Front Bucket Seats, Heated front seats, Heated rear seats, Heated steering wheel, Illuminated entry, Knee airbag, Leather Shift Knob, Leather-Appointed Seat Trim, Low tire pressure warning, Memory seat, Navigation System, Occupant sensing airbag, Outside temperature display, Overhead airbag, Overhead console, Panic alarm, Passenger door bin, Passenger vanity mirror, Power door mirrors, Power driver seat, Power Liftgate, Power passenger seat, Power steering, Power windows, Radio data system, Rear anti-roll bar, Rear Bumper Protector, Rear reading lights, Rear seat center armrest, Rear side impact airbag, Rear window defroster, Rear window wiper, Remote keyless entry, Roof rack: rails only, Security system, Speed control, Speed-sensing steering, Speed-Sensitive Wipers, Splash Guards, Split folding rear seat, Spoiler, Steering wheel mounted audio controls, Tachometer, Telescoping steering wheel, Tilt steering wheel, Traction control, Trip computer, Turn signal indicator mirrors, Variably intermittent wipers, and Wheels: 20" Machined Aluminum-Alloy. CVT with Xtronic, AWD. Our Sales, Service and Parts Departments work closely together to provide you with the most enjoyable, least stressful car-buying experience possible. The average tenure for our sales people, managers, technicians and all other employees is over 20 years. Most of them have been career employees of Middletown Nissan - and with that much experience, you can be sure they'll provide you with the highest quality care for you and your vehicle. We are also proud to be a Better Business Bureau Accredited Business with an A+ rating. 2019 Nissan Murano SL 3.5L 6-Cylinder CVT with Xtronic AWD Magnetic Black Pearl 4D Sport Utility 2019 is here!! All remaining 2018's will be priced at close out pricing! Even some 2018's With great options like SL Technology Package (High Beam Assist (HBA), Intelligent Lane Intervention (I-LI), Pedestrian Automatic Emergency Braking (PAEB), Power Panoramic Moonroof, Rear Automatic Braking (RAB), and Traffic Sign Recognition (TSR)), CVT with Xtronic, AWD, 11 Speakers, 4.667 Axle Ratio, 4-Wheel Disc Brakes, ABS brakes, Air Conditioning, AM/FM radio: SiriusXM, AM/FM/CD/MP3/WMA Audio System, Anti-whiplash front head restraints, Auto-dimming Rear-View mirror, Automatic temperature control, Blind spot sensor: Blind Spot Warning (BSW) warning, Brake assist, Bumpers: body-color, Carpeted Floor Mats & Carpeted Cargo Mat, CD player, Compass, Delay-off headlights, Distance-Pacing Cruise Control, Driver door bin, Driver vanity mirror, Dual front impact airbags, Dual front side impact airbags, Electronic Stability Control, Four wheel independent suspension, Front anti-roll bar, Front Bucket Seats, Front Center Armrest w/Storage, Front dual zone A/C, Front fog lights, Front reading lights, Fully automatic headlights, Garage door transmitter: HomeLink, Heated door mirrors, Heated Front Bucket Seats, Heated front seats, Heated rear seats, Heated steering wheel, Illuminated entry, Knee airbag, Leather Shift Knob, Leather-Appointed Seat Trim, Low tire pressure warning, Memory seat, Navigation System, Occupant sensing airbag, Outside temperature display, Overhead airbag, Overhead console, Panic alarm, Passenger door bin, Passenger vanity mirror, Power door mirrors, Power driver seat, Power Liftgate, Power passenger seat, Power steering, Power windows, Radio data system, Rear anti-roll bar, Rear Bumper Protector, Rear reading lights, Rear seat center armrest, Rear side impact airbag, Rear window defroster, Rear window wiper, Remote keyless entry, Roof rack: rails only, Security system, Speed control, Speed-sensing steering, Speed-Sensitive Wipers, Splash Guards, Split folding rear seat, Spoiler, Steering wheel mounted audio controls, Tachometer, Telescoping steering wheel, Tilt steering wheel, Traction control, Trip computer, Turn signal indicator mirrors, Variably intermittent wipers, and Wheels: 20" Machined Aluminum-Alloy. CVT with Xtronic, AWD. Our Sales, Service and Parts Departments work closely together to provide you with the most enjoyable, least stressful car-buying experience possible. The average tenure for our sales people, managers, technicians and all other employees is over 20 years. Most of them have been career employees of Middletown Nissan - and with that much experience, you can be sure they'll provide you with the highest quality care for you and your vehicle. We are also proud to be a Better Business Bureau Accredited Business with an A+ rating. 2019 Nissan Murano SL 3.5L 6-Cylinder CVT with Xtronic AWD Pearl White 4D Sport Utility 2019 is here!! All remaining 2018's will be priced at close out pricing! Even some 2018's With great options like SL Technology Package (High Beam Assist (HBA), Intelligent Lane Intervention (I-LI), Pedestrian Automatic Emergency Braking (PAEB), Power Panoramic Moonroof, Rear Automatic Braking (RAB), and Traffic Sign Recognition (TSR)), CVT with Xtronic, AWD, 11 Speakers, 4.667 Axle Ratio, 4-Wheel Disc Brakes, ABS brakes, Air Conditioning, AM/FM radio: SiriusXM, AM/FM/CD/MP3/WMA Audio System, Anti-whiplash front head restraints, Auto-dimming Rear-View mirror, Automatic temperature control, Blind spot sensor: Blind Spot Warning (BSW) warning, Brake assist, Bumpers: body-color, Carpeted Floor Mats & Carpeted Cargo Mat, CD player, Compass, Delay-off headlights, Distance-Pacing Cruise Control, Driver door bin, Driver vanity mirror, Dual front impact airbags, Dual front side impact airbags, Electronic Stability Control, Four wheel independent suspension, Front anti-roll bar, Front Bucket Seats, Front Center Armrest w/Storage, Front dual zone A/C, Front fog lights, Front reading lights, Fully automatic headlights, Garage door transmitter: HomeLink, Heated door mirrors, Heated Front Bucket Seats, Heated front seats, Heated rear seats, Heated steering wheel, Illuminated entry, Knee airbag, Leather Shift Knob, Leather-Appointed Seat Trim, Low tire pressure warning, Memory seat, Navigation System, Occupant sensing airbag, Outside temperature display, Overhead airbag, Overhead console, Panic alarm, Passenger door bin, Passenger vanity mirror, Power door mirrors, Power driver seat, Power Liftgate, Power passenger seat, Power steering, Power windows, Radio data system, Rear anti-roll bar, Rear Bumper Protector, Rear reading lights, Rear seat center armrest, Rear side impact airbag, Rear window defroster, Rear window wiper, Remote keyless entry, Roof rack: rails only, Security system, Special Paint - Pearl White, Speed control, Speed-sensing steering, Speed-Sensitive Wipers, Splash Guards, Split folding rear seat, Spoiler, Steering wheel mounted audio controls, Tachometer, Telescoping steering wheel, Tilt steering wheel, Traction control, Trip computer, Turn signal indicator mirrors, Variably intermittent wipers, and Wheels: 20" Machined Aluminum-Alloy. CVT with Xtronic, AWD. Our Sales, Service and Parts Departments work closely together to provide you with the most enjoyable, least stressful car-buying experience possible. The average tenure for our sales people, managers, technicians and all other employees is over 20 years. Most of them have been career employees of Middletown Nissan - and with that much experience, you can be sure they'll provide you with the highest quality care for you and your vehicle. We are also proud to be a Better Business Bureau Accredited Business with an A+ rating. Don’t pass up your opportunity to bring home the new Nissan Murano to Meriden. 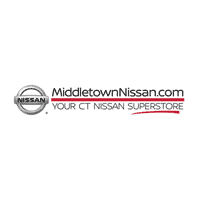 Contact our Middletown Nissan dealership to schedule a test drive today.